In the 21st century, managing your website – even when your site’s server is located halfway across the world – is easy. Today, you can operate a business out of Switzerland, market products to a US audience, all while using a hosting provider whose servers are based in Hong Kong. But even after saying all this, is offshore hosting really the only route you want to take? What about the benefits of hosting your website locally? We ask this because in truth, not all website owners will benefit from overseas hosting, and for some, it can be a detrimental decision to any business. • Quality – Although hardware and prices have improved across the board, the hosting industry is still riddled with low-quality web hosts selling cheap services. Many of these web hosts tend to be based in developing countries where the IT infrastructure is inferior to that of the United Kingdom’s. • Data – Certain countries have agreements with other countries and transnational organizations regarding the access of information and data from outside their own jurisdiction. Everything from search and seizure to data disclosure and the intercepting of communications is possible if you choose a hosting company based in a region where data privacy laws are weak or nonexistent. • Trust – Some of the more unscrupulous overseas hosting providers have been known to disappear overnight without a trace, leaving customers to wonder what happened to their data and personal information. Although the United Kingdom’s internet infrastructure is currently in a rebuilding phase, the UK has almost always been considered to have one of the largest, most reliable infrastructure systems in the world. Billions of pounds are currently being poured into the UK’s digital infrastructure in an effort to expand internet access, increase the number of fiber-optic and undersea cables present, and to eventually reach 5G capability. 1. Performance – If you plan on using a UK domain extension such as .co.uk, or plan on building a website targeting a predominantly UK audience, then there are performance benefits that come with choosing a web hosting company who is also based in the UK. The reason for this is that, although we like to see the internet as wireless or cloud-based, its most basic functions are entirely dependent on data traveling through wires. Your site’s data must make its way through a network of wires all the way to end-user’s device. Put simply, the shorter the data’s journey, the better your website and applications will perform. 2. Search Engine Advantage – Years ago it was revealed by Google’s own Matt Cutts that server location does bear weight on a website’s ranking in the search engine. In other words, a UK server is likely to perform better on Google.co.uk as opposed to Google.fr. Likewise, a website using a server based in Hong Kong targeting a UK audience probably won’t rank as well as a website based in the UK targeting local users. 3. Easy Weather – The UK isn’t exactly known as a country with the best weather. But, when it comes to hosting your website in any country, the UK is one of the best places to store servers. While some offshore hosting companies are forced to cope with earthquakes, tornadoes, hurricanes, or even tsunamis, the worst that can happen to a UK data center is a heavy rainstorm. Despite the hype surrounding offshore hosting providers, we hope it’s clear there are definite advantages to hosting your website in the United Kingdom. Here’s our detailed list of the top 20 best UK VPS providers in the country. Formerly known as HostingHeaven, WebHosting.uk.com was established in 2001. The company, which is a member of the Hyperslice Group, is based in Leeds, England. They offer UK VPS packages for the Linux or Windows platform. Each VPS from WHUK comes with the Plesk Onyx control panel and one dedicated IP address. cPanel costs £10, the spam filter from SpamExperts for use one three domains costs £3, and an extra 50 GB of storage space costs £10 per month. WHUK’s VPS plans are identical to eUKhost’s virtual servers, but we feel WHUK lacks transparency and eUKhost has slightly better prices. Zfast.co.uk is relatively new to the UK hosting industry, with their offices and two data centers based in Manchester. Their cloud-based platform is composed of multiple load-balanced clusters, with each backed by an 8 Gbps fiber-optic SAN fabric. Zfast’s virtual servers utilize OpenVZ containerization and come with a WebAdmin control panel and root SSH access. An unlimited domain cPanel license costs £12.99, while Plesk Web Admin Edition for use on 10 domains costs £2.49. An extra 20 GB of disk space will set you back by just £2, an additional one GB of memory also costs £2, throwing on an extra CPU unit costs £4.50, and a weekly data backup comes with a £4.99 price tag. PickaWeb.co.uk became one of United Kingdom’s first independently-owned web hosting companies in 1999. PickaWeb has been featured in major publications like Entrepreneur, The Huffington Post, and Business.com, and has been trusted by over 20,000 small UK businesses. Their sole data center is located in Enfield, London. PickaWeb’s SSD-based UK VPS packages come with cPanel preinstalled, while a license for the standard server’s costs £12.99. Upgrading your UK VPS to ‘managed’ service status will cost you £19.99, while 50 GB of backup and restoration space costs £15 per month. Overall, you may end up spending more on PickaWeb’s VPS services, but they offer quality customer support, are known for their flexibility and server uptime, and have received a number of industry awards. HostMedia.co.uk was established in 2008 by like-minded individuals with six years experience in the industry. The company’s office and data centers are based in London. Although ‘unmetered’, HostMedia’s bandwidth has an overall limit of 320 TB, and will charge 1 pence per gigabyte of data sent after 100 GB each month. A cPanel license costs £12.50 per month, CloudLinux costs £12, Fantastico comes with a £3 monthly cost, and Softaculous costs £1.50. One extra GB of RAM costs £6.50, a CPU core costs just £1, and an additional 10 GB of disk space costs £1. eUKhost.com has over 15 years hosting experience. Their headquarters is based in Leeds and data centers are located in Wakefield, Maidenhead, and Nottingham, England. Apart from their VPS services, eUKhost’s domains are fairly inexpensive, with .com domains priced at £9.99 a year and .uk extensions costing £6.49 per year. The Starter plan comes with a free Plesk Onyx control panel while the Enterprise package includes a free domain Wildcard SSL. cPanel costs £10, a Plesk Power Pack costs £5 a month, 25 GB increments of backup space cost £5, and the SpamExperts spam filter valid with three domains comes with a £3 price tag. Launched in 2011 in the United States, DigitalOcean specializes as a bare-bone IaaS provider for Linux developers. DigitalOcean currently has access to nine global data centers, ranging from New York and San Francisco to Amsterdam and London. Their high-performance machines utilize SSD disk drives, 1 Gbps network speeds, with droplet startup times of just 55 seconds. DigitalOcean’s standard UK VPS plans run on KVM hypervisors and include free snapshots, a dedicated IP address, FreeBSD control panel, and a number of data analysis applications. They also never charge for the overconsumption of resources. All-in-all, DigitalOcean is well-known for serving up one of the most powerful and reliable cloud computing platforms in the industry. Great United Kingdom VPS option for programmers and tech-savvy users. CloudAbove is based in Cornwall, United Kingdom. Their hosting is driven by Solid State storage paired with RAID-10, LiteSpeed web servers, and the latest Intel processors. Running on KVM hypervisors, CloudAbove’s UK virtual servers come with free temporary scaling, 50 GB of backup storage, mobile and email alert monitoring, and complete root control. They support practically every operating system, with Windows Server 2012 and 2016 costing £12 a month. While the Webmin and Virtualmin control panel are included, cPanel costs £12, Interworx Unlimited costs just £5, and Plesk for use on an unlimited number of domains costs £10 per month. An extra 50 GB of backup space costs an additional £10. Jolt.co.uk became an independent UK hosting provider in 2015 after breaking away from their then parent company WebHostingBuzz. Their Tier-4+ UK data center is based in Nottingham, which features a 10 Gbps network connection, Dell and Supermicro hardware, and Dual Xeon E5 processors. A Windows OS is not available. Offsite backup storage costs £6 a month. cPanel costs £9, Softaculous costs £3, a WHMCS billing system license costs £5 a month, and upgrading a server to ‘managed’ status comes with a £35 price tag. Overall, we like Jolt’s bandwidth, storage, and processing capabilities, but only wished they provided more features and applications. Arguably the biggest name on this list, 1and1.co.uk was founded in 1998 in Montabaur, Germany. 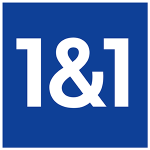 1and1 began selling services to local UK residents in 2000, with their UK data center based in London. Their United Kingdom virtual private servers use the latest Intel Xeon E5 processors, SSD drives, and VMware virtualization. 1and1’s United Kingdom VPS packages include a Plesk Onyx control panel, free SSL certificate, a static IPv4 address, mobile access, and full root control. Major Linux OS variations are free, while Windows Server 2012 R2 costs £5 per core, and Windows Server 2016 costs £10 per core. Sure, 1and1 is a well-established hosting company, but if you can’t stand constant upselling, cross-selling, and a convoluted user interface, look elsewhere. FarByte.uk, a member of the RIPE Network Coordination Centre, was founded in 2006. FarByte claims to never oversell its resources and they do not resell other company’s services. Their Manchester-based data center is backed by a diversely routed 10 Gbps fiber-optic network connection. Windows OS variations are not available. Adding 20 and 50 DNS zones costs £0.99 and £1.50 per month, respectively. Webmin, Virtualmin, and Sentora control panels are free, while an unlimited license for cPanel costs £11.99 and DirectAdmin access costs £10.99. Adding an extra IP address costs £1.50 a month, server management is £19.99, adding 1 GB of memory costs £6.38, 200 GB of additional bandwidth is £10, and an extra 25 GB of standard storage space costs just £0.79. Great prices, diverse packages, and a solid reputation are all good reasons to choose FarByte.uk as your next best United Kingdom VPS provider. HeartInternet.uk, a rapidly growing UK hosting company, was established in 2004. HeartInternet has won a multitude of awards and accolades from various voices in the hosting industry. Their UK data center is backed by multiple 10 Gbps connections to different backbone providers. Unfortunately, HeartInternet does cater to resellers. HeartInternet’s virtual servers also feature RAID-10 mirroring, full root access, snapshot backups, FTP backup space, and one free dedicated IP address. CentOS 6, 7, and Ubuntu are free, while Windows Server 2012 costs £10 a month. Additionally, Plesk and cPanel costs £3 and £10 per month, respectively. Overall, HeartInternet has a diverse VPS offering, and we especially like the fact they allow users to choose between standard HDD and SSD hard drives – recommended. Hosting.co.uk opened its virtual doors in 2012, with their main office located in Bitbourg, Luxembourg. Their network and servers are housed inside a Tier-4+ Midlands data center. SSL certificates cost anywhere from £7.50 to £55 per year, while backup storage prices range from £2 (10 GB) to £640 (4,000 GB) per month. Additional server addons available include: cPanel (£9), Softaculous (£3), server management (£35), and a WHMCS billing system (£6). Good prices and hardware, but Hosting.co.uk may not be the best UK VPS provider for those with exceptionally large resource needs. Iniz.com was established in 2012 and was acquired by SYN Ltd. in 2014. Iniz operates servers inside four data centers, with their UK equipment housed inside a London-based facility. The company is also a Nominet-accredited domain registrar. Each virtual server from Iniz.com comes with one dedicated IPv4, IPv6 access upon request, a basic control panel, and basic DDoS protection. Additional IP addresses cost just £1 per month, advanced DDoS protection costs £2.50, a cPanel license costs £11, and a DirectAdmin license costs £6 per month. For further server configuration, the following options are available: 2 extra CPU units (£2.50), 1 GB of extra memory (£2), 20 GB of additional SSD disk space (£4), and one additional TB of bandwidth (£2). GbServers.co.uk launched in 2007. Aside from maintaining servers in Indiana, USA, GbServers also operates inside a Tier-2+ facility located in Maidenhead, United Kingdom. Their VPS packages are compatible with Xen and OpenVZ virtualization technology. GbServers’ virtual servers are powered by SolusVM. Dedicated IP’s and IPv6 are only available with the purchase of a RDNS control panel, which is unfortunate. cPanel costs £10, DirectAdmin costs £5, Webmin comes with a £5 setup fee, and additional IP addresses cost £0.50. Solid prices and storage capabilities, but GbServers could definitely improve on their UK VPS services by offering more features, tools, and freebies. Relatively new to the hosting industry, Guru.co.uk was founded by the people behind UkDedicated Ltd., one of the longest-running VPS providers in the United Kingdom. Guru.co.uk owns their own hardware inside Gyron Internet’s data facility based in Hempstead. Guru.co.uk is a good fit for medium to large-sized businesses with intensive resource requirements, but not a viable solution for blogs or small sites. Servers are managed by administrators and come with hourly off-site backups, a free standard SSL certificate for all hosted websites, and a number of developer tools. Additional IP addresses cost £1 a month and premium SSL badge prices range from £99 to £249 per year. Hostinger.co.uk is a recently established ICANN-accredited UK hosting provider who readily accepts Bitcoin payments. Available server locations include Manchester, England, Sao Paulo, Brazil, and Asheville, USA. Their cloud VPS nodes are powered by the Intel Xeon E5-2600 series processors, and equipped with SSD disk drive arrays with RAID-10 protection. Hostinger’s United Kingdom VPS solutions include full root access, over 50 OS templates, IPv6 support, and one dedicated IPv4. Their prices and resource abilities are great, but according to customer reviews, Hostinger does tend to have mediocre customer support. Chat support is only available 8 hours out of the day, with no coverage during the nighttime. There’s also no telephone number, and they appear to be able to send only one email for a single support ticket per day. VPSserver.com specializes in delivering fast KVM-based VPS solutions with three-way server replication. The company operates in eight international locations, with their United Kingdom facility based in London. VPSserver also accepts Bitcoin. Each UK VPS from VPSserver.com comes with one IPv4, IPv6 access, DDoS protection, a basic control panel, a DNS manager, and over 100 applications and OS templates. 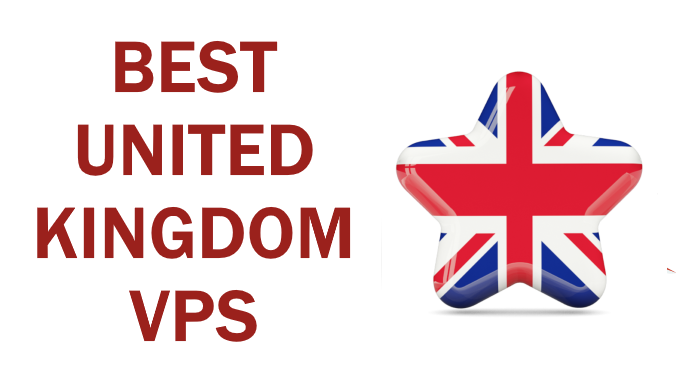 VPSserver’s prices are fantastic, and according to customer reviews from various sources, this is a high-quality UK VPS provider worth checking out. CertaHosting.co.uk was established in 2007. It is unclear which United Kingdom data center the company uses, although they do use SSD drives, offer services to resellers, and maintain a near-perfect five-star rating through Serchen from over 85 reviewers. CertaHosting offers a wide variety of OS platforms, and we like that they make Windows 2008 and 2012 R2 Standard available for free. An unlimited cPanel license costs £11, Plesk 11 and 12 for Linux or Windows each cost £6, and Plesk Onyx also costs £6 per month. Secure data backups cost £25, upgrading to ‘managed’ status costs £60 per month, a firewall for your hardware costs £10, while server security setup comes with a one-time £60 fee. Memset.com was founded by two brothers in 2002 to eventually become the UK’s first certified Carbon Neutral hosting company. They operate their own data centers, with available UK locations including Dunsfold, Surrey or Reading, Berkshire. Memset.com has also received several accolades in the hosting industry, most notably by being named as the ‘UK’s Best Web Host’ by PcPro magazine for seven consecutive years. Being one of the best UK VPS providers, Memset’s packages come with 30 minutes of basic technical support each month, free Nessus vulnerability assessments, and a self-managed firewall. Equipping CentOS 7 with cPanel costs £7.50, while Windows 2008, 2012, and 2016 Server Standard R2 each cost £7 a month. A 10 GB backup drive comes with a £6 monthly price tag. Overall, it’s safe to say that Memset.com runs one of the most sophisticated cloud infrastructures in the industry, and they’re one of the few hosting providers in the world to be used by governments. Still new to the industry, Cloudvider.co.uk has taken the UK hosting scene by force. They manage servers inside a Tier-3+ London data center, featuring a 10 Gbps core network backed by multiple Tier-2 and Tier-3 providers like Level3, GTT, NTT, and Enta, with direct access to LINX and LONAP exchanges. Apart from their resilient connective abilities, Clouvider is also well-known for their blazing-fast RAID-backed NVMe SSD’s with the latest Intel 750 processors. Clouvider.co.uk utilizes the OnApp control panel. Additional IP addresses cost £1 per month, a cPanel license costs £9.99, KernalCare is £2, and a Cloud-Linux license costs £9.99 each month. In our view, Cloudvider.co.uk appears to be one of the best VPS providers in the world, not just the UK. Their exceptional storage, memory, bandwidth, and network capabilities are great for medium to large businesses, while their prices are so low they’re affordable for even the most basic beginner. We can’t recommend Clouvider enough. So, if you’re looking for the best United Kingdom VPS company out there, check out Clouvider.co.uk today.